When trying to recover a backup created using a previous version, the backup archive is not shown in bootable media. To solve this issue, click on refresh. 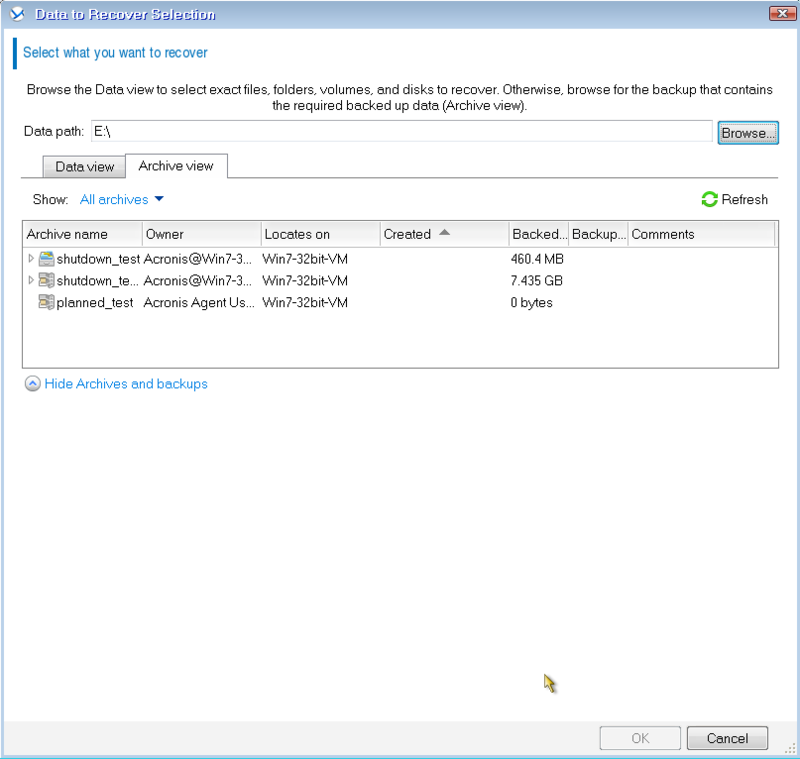 Starting from Acronis Backup & Recovery 11 there is metadata created with the backup archive. This metadata is not created in previous versions. 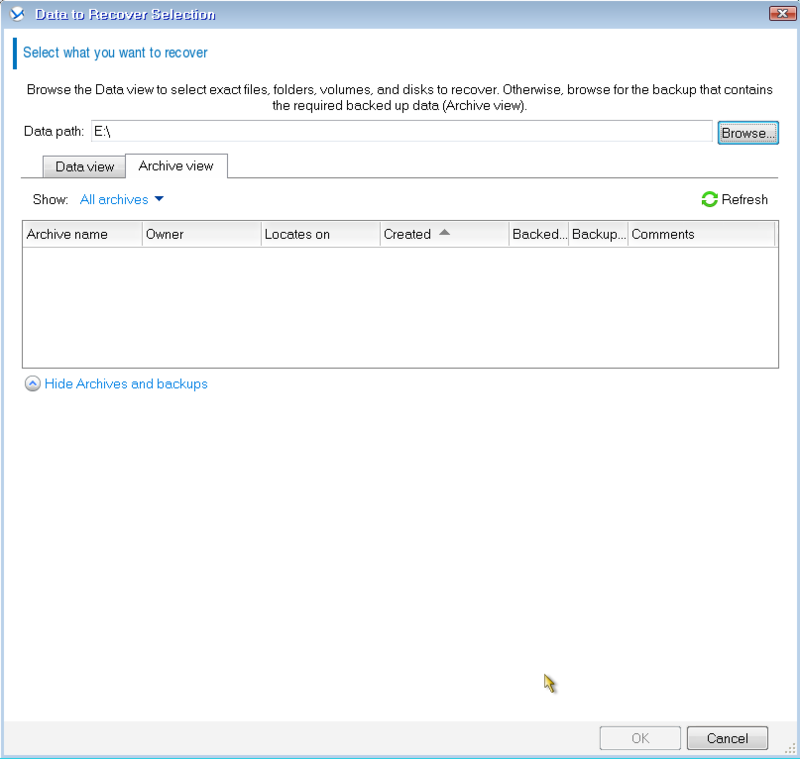 Because of this behavior, the backup archive will not be displayed automatically when browsing a backup location from Acronis Bootable Media.